In last week’s tip, we said a good starting point for any room makeover is to consider storage – as without this any room looks messy, untidy and never finished. This week before you clear out everything one of my ground rules when working with clients is to make them think about what they want to keep in the room – if anything. Frequently, and in my experience, there are always one or two much loved items that customers are reluctant to part with. 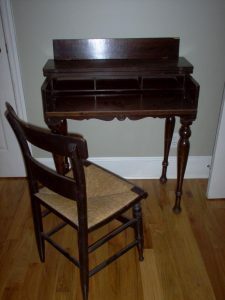 There’s often Grandpa’s chair, a display cabinet, or a writing desk – and the customers wonder how they are going to incorporate this into the new room? How will it work with the colour scheme? Will it conflict with the lovely new contemporary look that you have in mind? Will it impact the light filled look you are going for? At Interiors, I specialise in upcycling and incorporating treasured family pieces into all my designs. To me its part of working with you to design the family home you want. We can incorporate most items by reworking with colour, or upholstery and or repair. 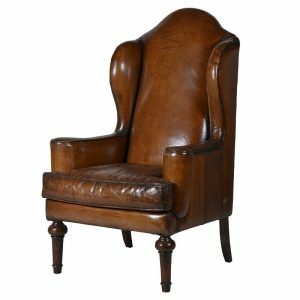 Or often I create a feature out of it – just as I have recently done with this family favourite 1950s chair. 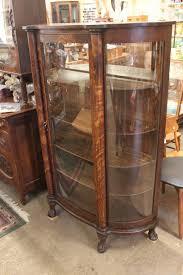 Looking at a makeover, but want to keep Aunty Claire’s Display Cabinet? Call me and see how I can help you or email me here.